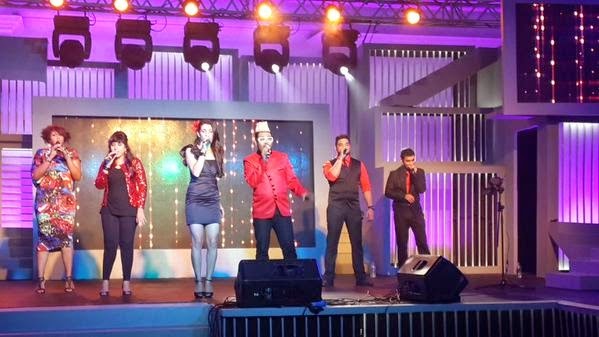 An amazing Music Event at the Taj Lands End – My wonderful experience. 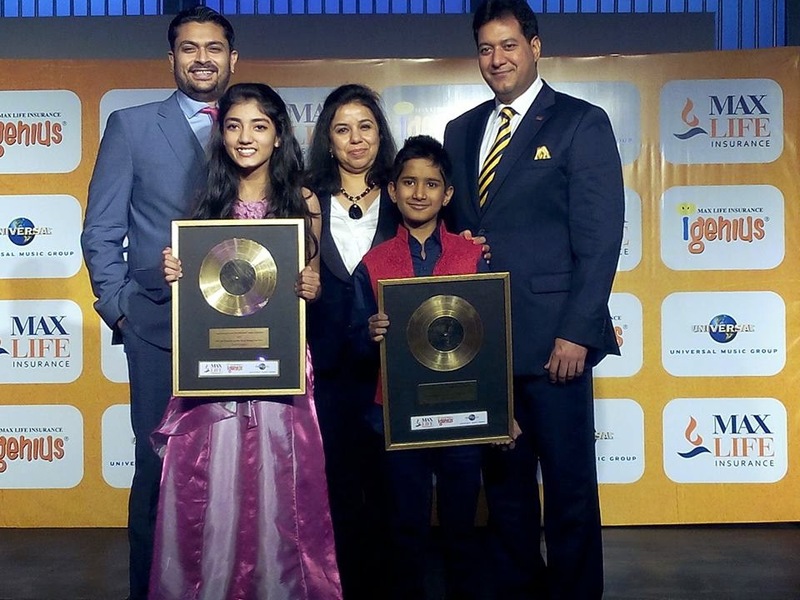 This blog post is my experience at the musical event organized by Max Life Insurance for finding Young Singing Stars to which I was invited by Blogadda. Well I, Pradnya Chavre, would like to inform all the readers that Blogadda had taken a special permission for me just because my brother, Pravin, had requested permission for me and he was curious to make me attend this Max Life iGenius Young Singing Star’s Music event. Later, he also said to me that he had requested Blogadda for allowing his friends as well for this event which was obviously not possible. Well, he was very happy since I was going to attend this musical event along with him at the Taj Lands End. At first, I was not ready to attend this event but eventually I cannot resist myself since I love music and it was a great opportunity to watch Mr. SalimMerchant and Miss. 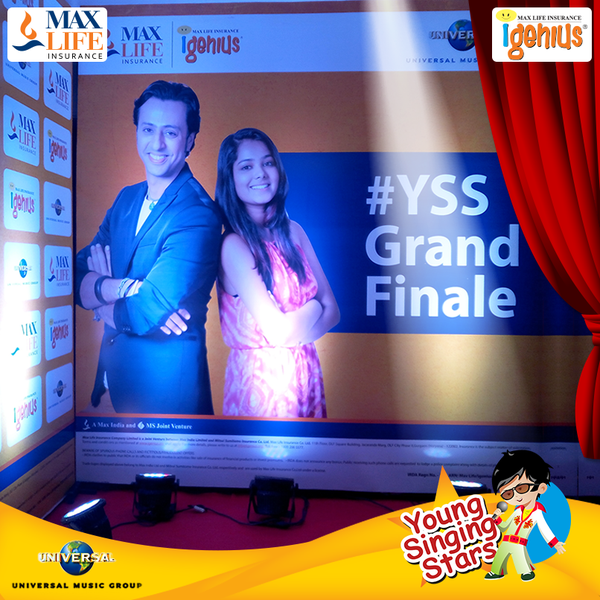 Shraddha Sharma, both, would be performing and judging the kids singing talent hunt sponsored by Max Life Insurance. As it was the week day, I could not leave my office before working hours and I got stuck in the traffic for about an hour. I also sent text messages to Pravin that I would be late since there was a heavy traffic to reach the Dadar Station. At last, I got down at Dadar and I was really shocked to see my brother in his all new casual’s attire. I started to scold him as he did not inform me about this and I was thinking that he would also attend this event in his office getup. But it was my workload, which did not allow me to go to my living place and come back again to watch this event in another getup. So I said, its ok I can attend this event as I am fond of music. But while entering the venue, I felt very awkward since I was in my office getup. I also scolded my brother a little bit on why he did not inform me about this event one or two days earlier. Well, he cleared that he was not sure whether, Blogadda would allow both of us or not. In this way, he informed me at about 3 pm on the event date itself and eventually I was ready to attend this event only because of him. On my getup he gave a ridiculous remark stating that I look good in office getup so I should not feel awkward after all it was a musical event. I asked him whether there will be a Buffet dinner for us. To this also, he was not sure so I said its ok lets enjoy the musical event. Now I was talking to my friends on my mobile while the show was going on and my brother Pravin, started to feel awkward and he asked me to talk later. So I did not talk much but I reported to my friends that this event was similar to the concert show of Shobha Mudgal that we had attended few months ago. I also reported that I was in the office getup which was not a good thing according to me. My friends also said the same thing that my brother said which bought me somewhat relive. The start of the show was amazing as MC ManasiScott had started this event by singing a song and everyone including me was delighted with her voice performance. Just after this, it was the turn of Youtube Super Star Miss. Shraddha Sharma and as we used to hear her songs online it was a pleasure to hear her performing at this live musical event and that too in the glittering Taj Lands End. After this Mr. Salim Merchant also performed but he did not sing much since because the unfortunate brutal massacre took place a few days in the Army Public School and Degree College in Peshawar, Pakistan. After this, the event actually started where the young singing stars were going to perform and we also got to hear their pre-recorded introduction videos that gave us an idea on how talented all the participating contestants were. Each one of them are really talented indeed. In the middle of the singing round of all the young singing star’s there was an entry of few people who at first had seated on the last rows and we were thinking of who these people were. All of them were in fancy getup and we thought that there might some dancing event to entertain us. After a few moments these people were being called up on to the stage and guess what! These people were the ones who are well known as Acapella Performers and their band is name as Ragga Trippin. These guys were just 6 of them but they made sure that the actual band group present at the music event would feel awkward since all these members from Ragga Trippin band were able to produce every sound required for any song vocally. All these guys were super talented and it was again a pleasure to watch these people as well to perform in this Max Live Young Singing Star’s singing talent hunt. Now it was the time to leave the show in the middle which was not a good thing. But we had to leave the show since we had a long journey back to our living place and the next day was a working day as well. As soon as we came out from this event, we saw a buffet dinner going on and at first I said to my brother that lets go it will be late if we wait a little bit more. As the Blogadda organizer Mr. Anand asked us to have food before leaving and my brother too said lets have it and then we should leave. At this point my brother did not forget to accolade the work done by the Blogadda Organizers and I also said that they are really doing a great job and this event was being perfectly organized by them. While leaving we again thanked them and left the Taj Lands End Hotel and we headed to our living places. Attending this live event was a wonderful experience and I would love to attend event like these in future and also blog about it. The five things that adds a zest to my life. Well, as we all know that cricket is the most popular game in India, I have been fascinated by it since my childhood. During my childhood days, I used to play it each day and I was the one who used to give a call to each of my friends staying in my colony. In those days, mobile or internet was not accessible to everyone. So I used to shout outside their home at 4:00 pm and at times I got scolded by the neighboring people because it was me who always disturbed their afternoon power naps. I never bought a cricket bat but I always contributed with a khanna/Tennis ball. I have been using a bicycle since my school days and even today I prefer it. It adds a zest to my life not because I save on the cost of fuel but because It helps me to evade traffic and get an exercise while travelling between two places. I remember once, me and my friends went on a bicycle journey which was of more than 10 kilometers and the occasion was to find an internship project. We did not succeed in getting as it was not related to our field so decided to return. While returning we were not tired because while coming back home we went to meet a mutual friends home. At first we thought we would not come inside his house as we are meeting him for the first time. But to our surprise, that friend in our group had already introduced us in their previous meetings. In this way, the mutual friend offered us a breakfast and he made sure that we would not feel awkward while having a conversation with him. So as mentioned in the cycling zest of mine, I am also interested in spending time with my friends. This is the thing that everyone loves to do and it is the best time where we get a chance to help each other. Spending time with friends really adds zest because they are the ones who share absolute remarks about us without any partiality. Again this statement seems to be hyperbolic, but at most of the times they surely help us by sharing their valuable opinion. Performing the tasks which seems to be tedious. 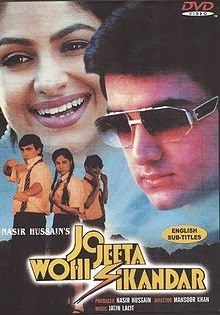 Five Hindi movies that I felt are off-beat and I feel that these are the must watch Bollywood films. This post is a part of the MissLovely Activity in association with BlogAdda. Today is the era of popularity and style which is being reflected in every movie that is being scripted in Hindi cinema. Well this term has also got a style and it is now known as Bollywood films instead of Hindi cinema but there are a lot of movies which have an outstanding script and the actors in those films have done an outstanding job of entertainment as well as motivation. 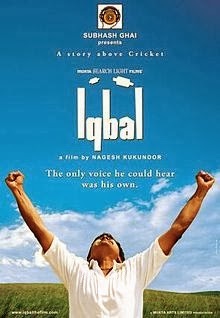 Reason: This movie motivates us to be energetic towards every situation in our life and our aim should be victory even if the circumstances are against us. Reason: This movie describes us how the youth should proceed in politics which is a lucrative carrier option but it is maligned just because of few bad politicians who don’t deserve to lead our nation. Reason: This movie explains us that due to some family situations, we get ourselves stuck in doing nothing which is a bad thing. Also it is important to note that there is only one religion in this world and it is being human. This thing is missing in the world just because of we the socialized human beings are stuck into the caste and creed system. Reason: This movie is a must watch for all the youngsters because every individual has a certain passion and it is the duty of every family member to nourish each others areas of interest. Some things are difficult to achieve but it is never impossible to do so and it is a well scripted and directed movie that will certainly motivate the viewers. 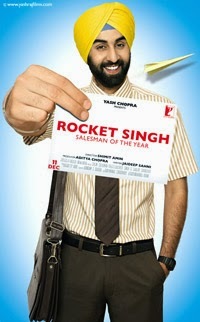 Rocket Singh: Salesman of the year. Reason: This movie describes us that even if we have a little bit of knowledge we can achieve big success only if we have the passion and perfect planning to do so. If we execute it properly then there is no stopping.